Apple is on a roll today. First, the company announced that it would debut not only iOS 5 and Mac OS X at this year’s Worldwide Developers Conference, but also the much-talked-about iCloud service. Not only that but Apple CEO Steve Jobs, who has been on medical leave from the company since January, would make an appearance at WWDC (probably the keynote address). And now, Apple has issued yet another press release, which announces that its iWork software is now available for the iPhone and iPod touch. That’s a big news day for a company that rarely speaks (or at least lets rumors do the talking). Apple’s iWork productivity software, which comes in a Mac OS X version, has been available for the iPad since January of 2010. 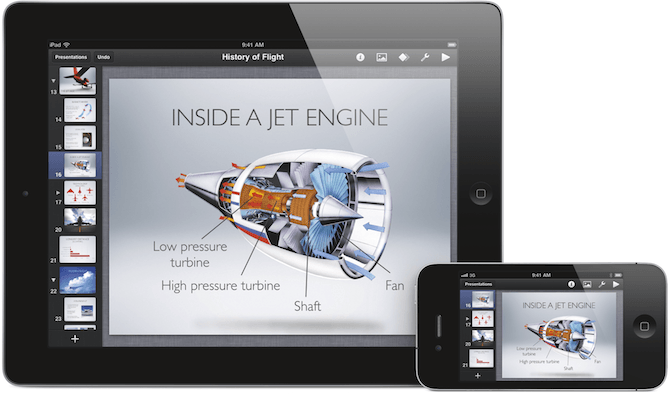 The complete iWork software suite includes a variety of apps: Keynote, for creating slide presentations; Numbers, for spreadsheets; and Pages, for general word processing. Like the iPad version, each app (sold separately) will cost new customers $9.99 apiece, but are free for users who already own the iPad versions. The Keynote remote, which is used to wirelessly control presentation slides, is also available for an additional charge of $0.99. In order to account for the smaller screen of the iPhone or iPod touch, Apple has introduced a new “Smart Zoom” feature to both the Numbers and Pages apps, which “automatically zooms in to follow the cursor while you’re editing and zooms back out when you’re done,” the press release reads. As expected, all of the features found in the iPad versions of these apps will be found in the iPhone/iPod touch versions. But both the iPad and iPhone/iPod touch versions are optimized for touchscreen devices, and thus are somewhat less robust than the Mac version. Photoshop is headed to the iPad Pro, but is a tablet enough for photographers?